Users receive notifications about @mentions, personal and team messages, updates from people they follow, and changes made to teams, groups and pages they are a part of all without an open browser. Users can also customize and set specific notification settings. 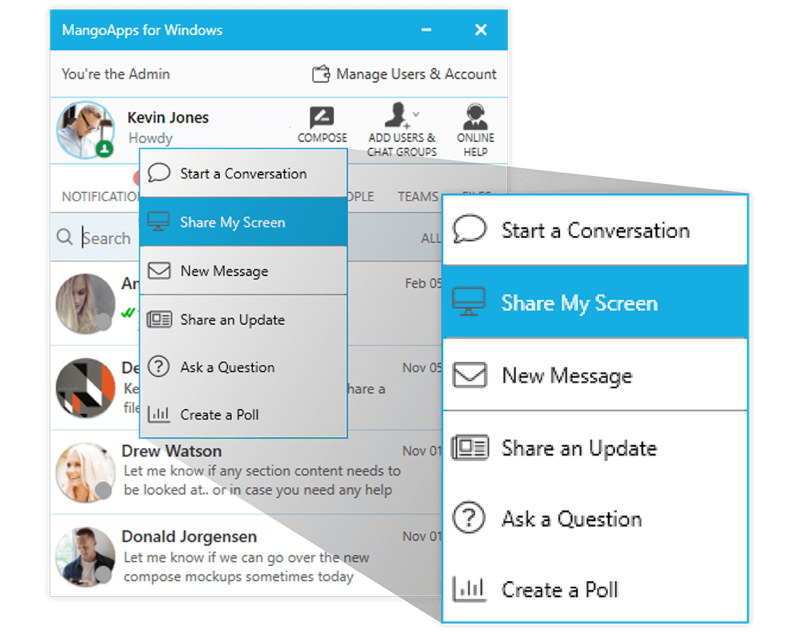 Windows and Mac Apps make it easy to share an update, ask a question, or message a coworker directly from a desktop. 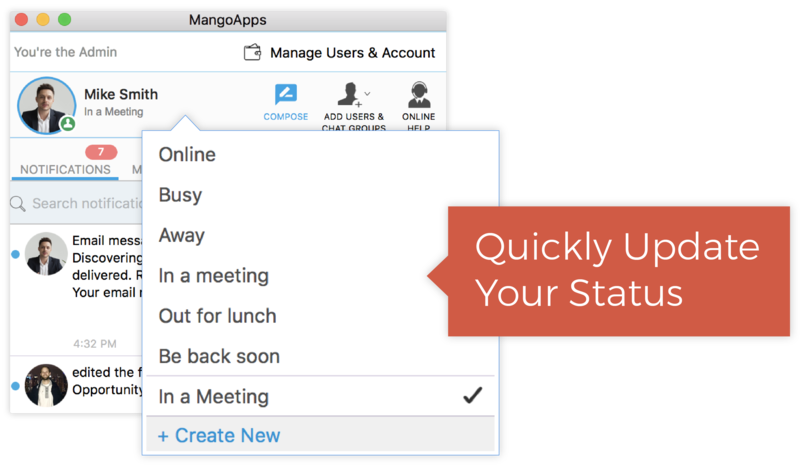 Communication happens quickly and effectively, letting employees stay in contact without having to spend time launching MangoApps. Users can set up and easily change their customized and personalized activity status, keeping coworkers and employees aware of their current activity and availability without disrupting or interrupting their work. 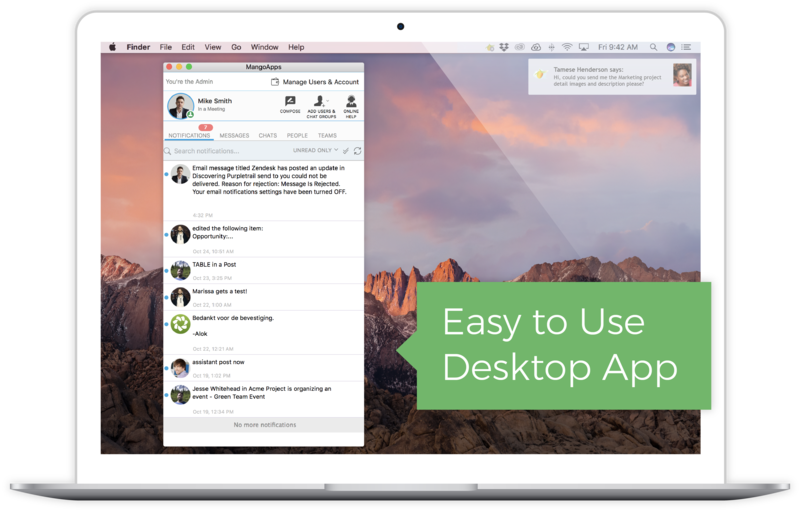 MangoApps Desktop and Mac abilities allow users to quickly and securely connect with coworkers and employees through real-time messaging. 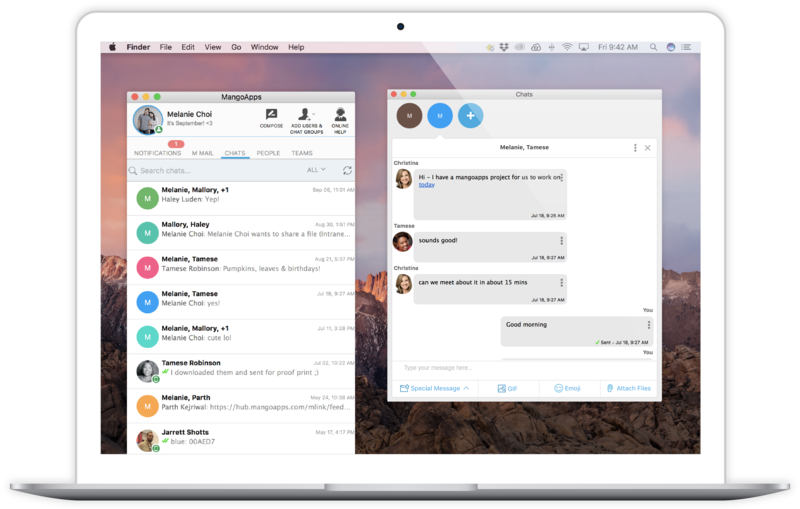 Users can privately message individuals or reach out to groups completely hassle and browser free. 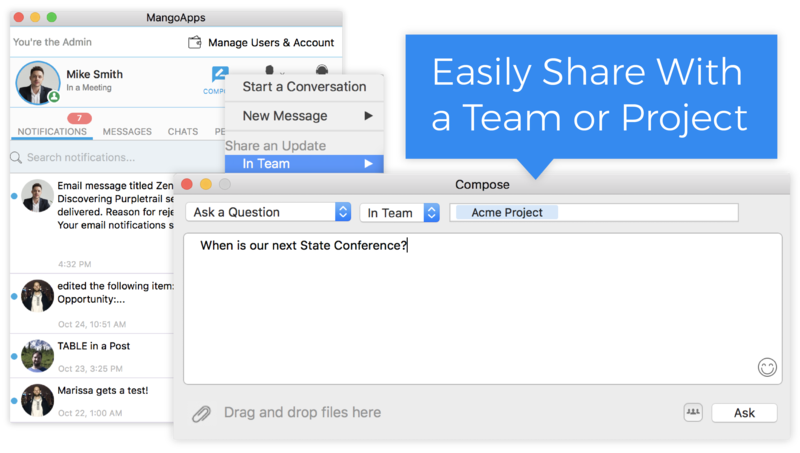 Using the built in Compose button, users can quickly and easily initiate a new conversation with colleagues, begin a screen-sharing session, compose a new internal mail message, or share updates, questions, and polls on MangoApps web. Users can also send Mango Messages to anyone in their company network, even if they or the recipient don’t have an email address. 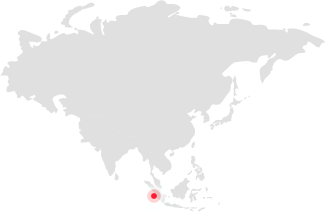 Mango Messages can be sent to individuals in a one-to-one style of communication or more broadly in a one-to-many style. 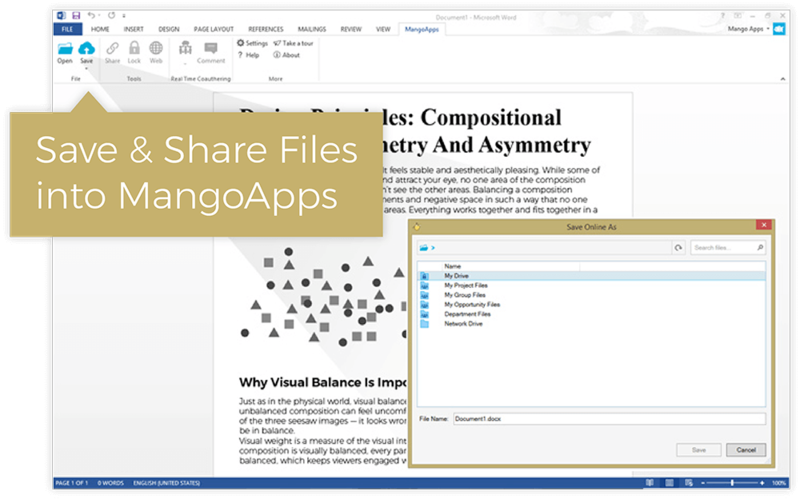 Word, PowerPoint, and Excel can be saved directly into MangoApps, and users can even review and edit coworker documents or merge multiple versions together right from their desktop. Saved documents are also automatically scanned for virus. 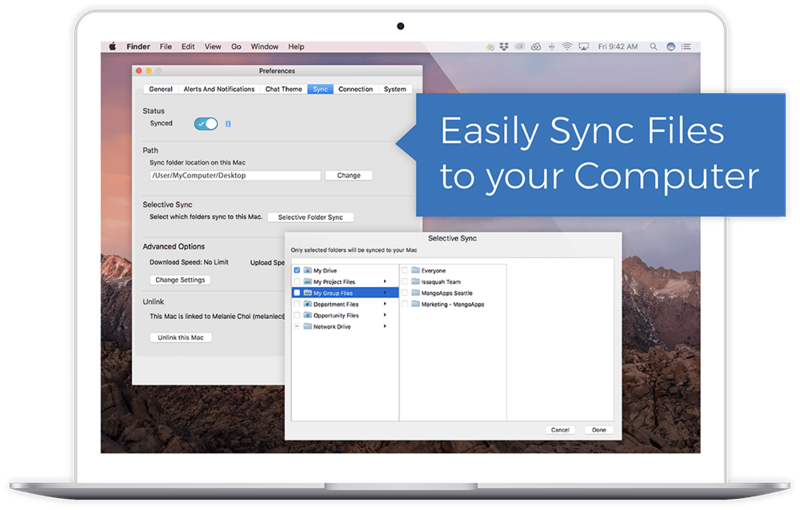 MangoApps automatically synchronizes files between desktop and online MangoApps folders, making sure users always have access to the most recent information. 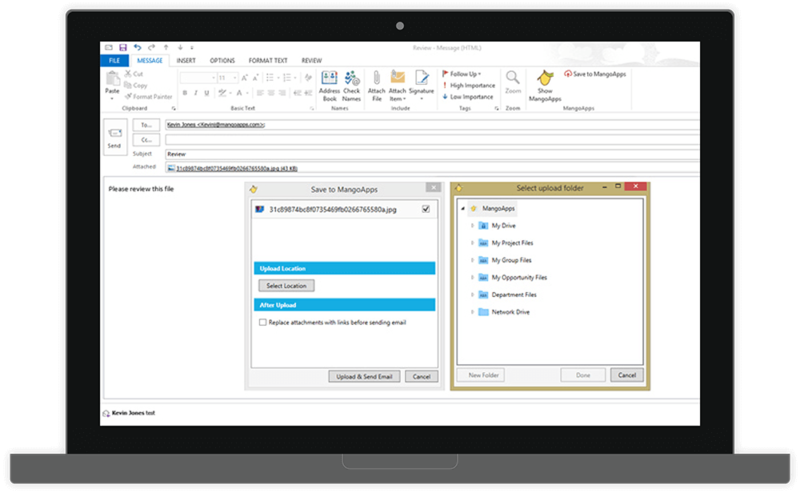 MangoApps makes it possible to access online files and folders directly inside of Outlook. 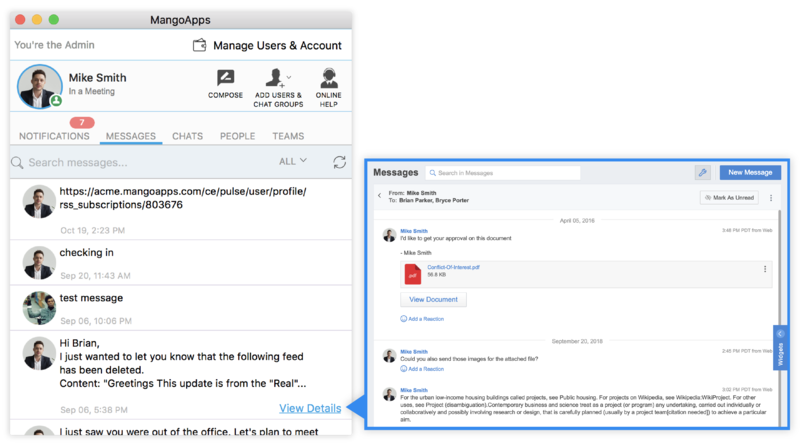 Users can also share files from Outlook into MangoApps without ever leaving email.